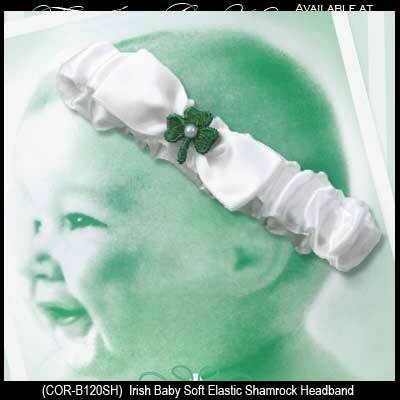 This Irish baby headband features soft elastic that is enhanced with a green shamrock. Your Irish baby will look so cute wearing this green shamrock headband. The white headband is made of soft elastic material and it is gift boxed with a shamrock history card, complements of The Irish Gift House.